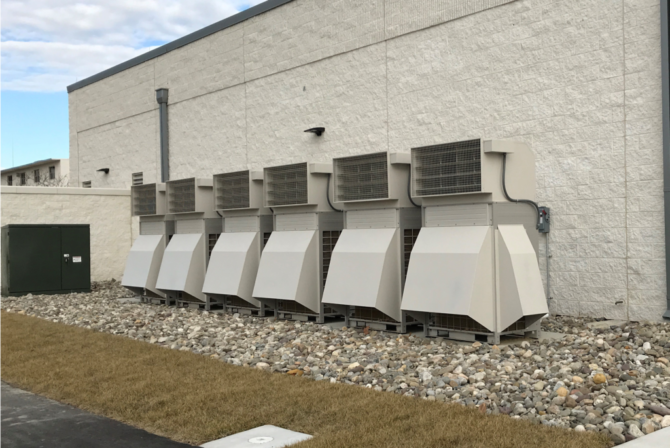 Variable Refrigerant Flow (VRF) systems are an increasingly popular option for commercial builders seeking out an energy-efficient HVAC solution. These systems are incredibly efficient, they occupy minimal space, and they offer quiet outdoor condensing units. 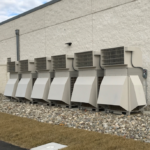 Though there can be a higher initial cost, and finding qualified installation contractors can be a challenge since there are no VRF manufacturers in the United States, the benefits often outweigh the drawbacks for this desirable, high-end option. Allen & Shariff’s experienced designers and engineers understand VRF systems, their benefits, and how to integrate them into a building project. The key benefit is efficiency. Since VRF systems operate at variable speeds rather than simply performing an on/off operation, they work only at the necessary rate, providing substantial savings on energy costs, up to 55% over comparable units. 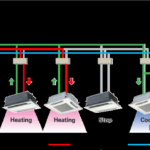 VRF is able to provide on-demand heating at each individual unit so building occupants can have individualized temperature control over different zones of the building. 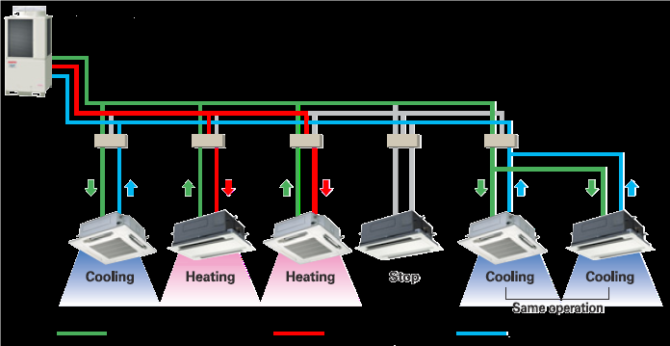 The reason VRF provides such efficient energy control is because, unlike conventional HVAC solutions, VRF allows simultaneous heating and cooling on a single system. VRFs are typically installed with an air conditioner inverter which adds a DC inverter to the compressor. 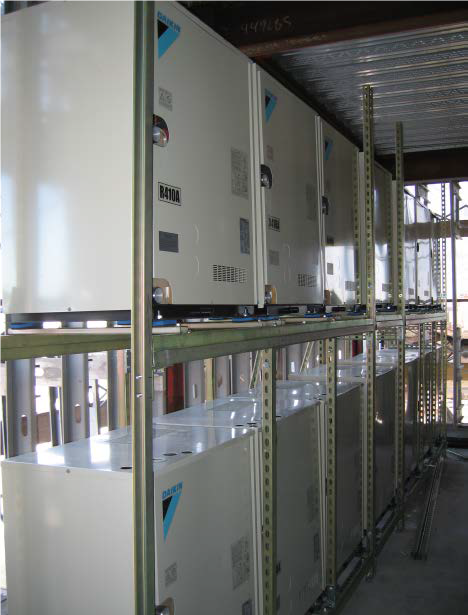 Inverter control allows the system to regulate itself to match the current load present in the building. 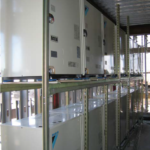 VRF is size- and space-efficient as well. With double stack, water cooled installations, a 28-ton system footprint is only 32 square feet. 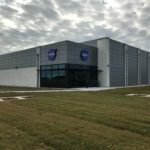 For roof units, a 400-ton VRF system takes up one third of the space of a conventional system, approximately 3 square feet per ton versus 9 square feet per ton. 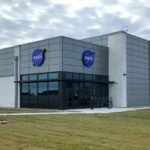 At NASA’s new Mission Launch Command Center on Wallops Island, VA, Allen & Shariff designed a VRF system utilizing air-cooled and geothermal water-cooled heat pump condensing units. VRF efficiency played a key role in the success of project. The existing well field was only sized for 60 tons of air conditioning, but the building requires 128 tons of air conditioning. The solution was to take advantage of both water-cooled and air-cooled equipment. 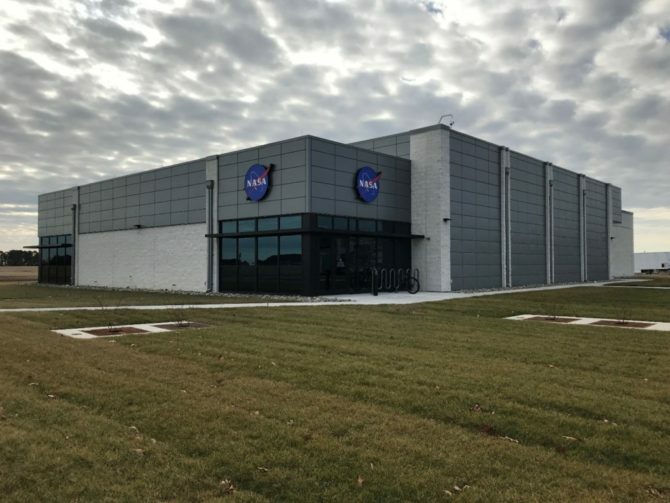 Allen & Shariff was able to create a system that used 60 tons of water-cooled VRF systems and 68 tons of air cooled VRF systems to meet the building requirements. More questions? Contact Allen & Shariff to schedule an in-person presentation by one of our industry experts, and learn how to incorporate the benefits of a VRF system into your building design.